TOUGH STUFF! What’s in a name? Well in this case, the name says it all. Built of solid wood for years of heavy use, FURNITURE CONCEPT'S SIGNATURE TOUGH STUFF LINE is ONE of a KIND. 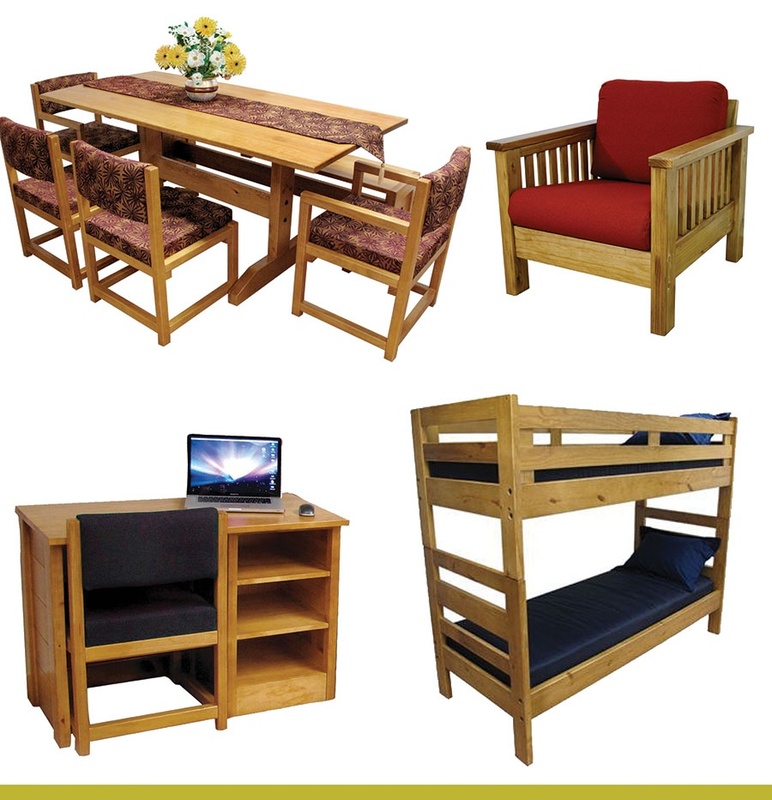 Designed for heavy use environments like student housing, summer camps and health care, Tough Stuff is hands-down the industry’s most rugged and durable furniture solution. The exposed wood frame design is a call-back to the formerly popular crate design furniture of the 1990’s. But with polished smooth surfaces, improved style and endless upholstery options for seating pieces the crate style concept has been taken to a new level of design. Adding to the appeal of Tough Stuff is a price point which is far below traditional fully upholstered seating, bedroom or case piece furniture. It’s kind of counter intuitive that furniture manufactured with more substantial solid wood can be less expensive then scaled down manufacturing techniques but it is really the lack of process that makes Tough Stuff so down right affordable. The Tough Stuff line is made in the USA and is proudly sold only by Furniture Concepts!